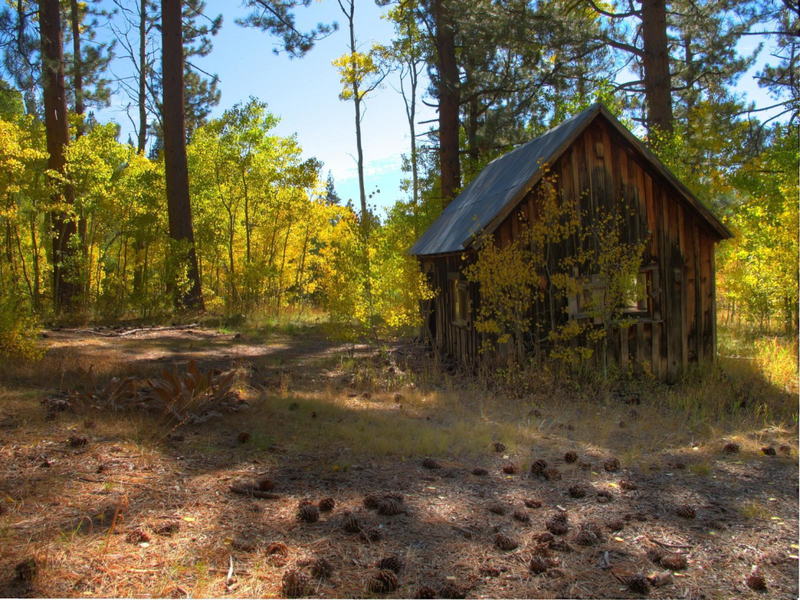 Fall colors and rustic cabins make a trip to Spooner Lake worthwhile. The Spooner Lake loop is 2.1 miles, while the hike from Spooner to Marlette Lake is 10 miles roundtrip. The flat 2.1 mile loop around Spooner Lake is well marked and provides plenty of rest opportunities. This assumes the average hiking pace of two miles per hour for most ability levels. This is a great all season hike for all ability levels. Proper winter gear is recommended during the snowy months. Pets are allowed but it is always recommended to keep pets on leash. Spooner Lake lies as a welcome oasis in the otherwise parched eastern rim of the Lake Tahoe Basin. 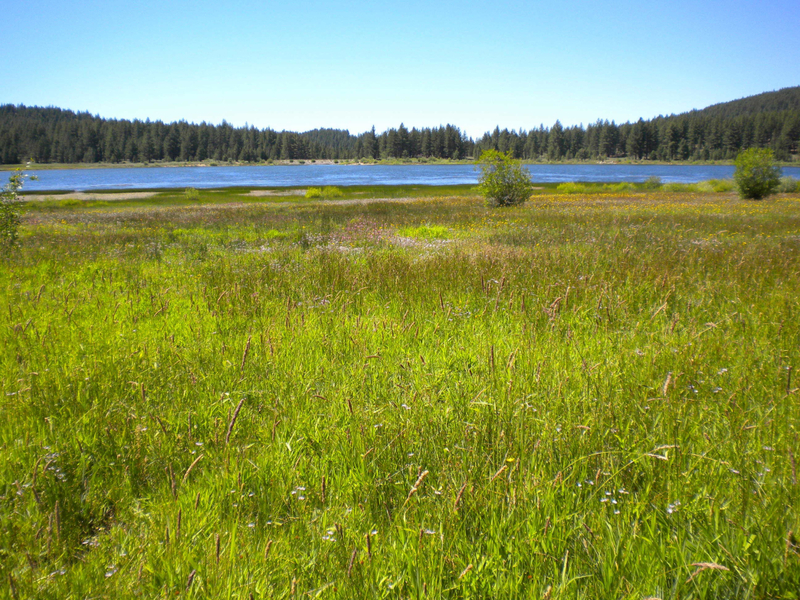 Easily seen from nearby Highway 50, Spooner Lake’s sparkling waters are surrounded by acres of stunning alpine meadows and shaded pine forests. With abundant picnicking, hiking, fishing, and biking opportunities, this gem of the Nevada State Park system is a must-do outing for any family visiting the Lake Tahoe area. Intermediate and expert hikers looking for a more challenging full-day adventure can also use Spooner Lake as the jumping off point to access the 12,000 acre Spooner Backcountry, including Marlette Lake. Spooner Lake offers a diversity of options for any family visiting Lake Tahoe. A relatively flat 2.1 mile loop circumnavigates the shoreline of the lake, weaving in and out of lush meadows, marshes, and shaded forest. Various vista points, interpretive signage, and benches dot the 2.1 mile path, providing scenic areas to rest and take in the view. Hikers interested in a more challenging outing can forego the Spooner Lake loop and follow signs for North Canyon and Marlette Lake. A 1.0 mile dirt road through shaded pine and lush Aspen groves brings you to the junction with the Marlette Lake Trail. At this junction, is it recommended that hikers opt to take the single-track, hiker and equestrian only trail for 4.0 miles to Marlette Lake. Opting for this hiker only trail avoids the mountain bike traffic using the dirt road, while also climbing higher on the ridgeline to provide stunning vistas of the verdant valley below. In total, the hike to Marlette Lake from Spooner Lake is 10 miles roundtrip with approximately 1,000 feet of elevation gain. Ambitious and well-prepared expert hikers can challenge themselves to the 11.8 mile roundtrip, 2,000 foot climb to the summit of Snow Valley Peak for inspiring panoramic views of Lake Tahoe and the Carson Valley. Spooner Lake is a fantastic family destination with relatively flat and well-marked trails, abundant picnic areas, and well-crafted interpretative signage. All ages will enjoy the lush wildflowers, open meadows, and shaded forest available within a short distance from the trailhead. Intermediate and expert hikers will also enjoy the Spooner Lake area for the access it provides to the 12,000 acre Spooner Backcountry. Destinations including Marlette Lake, Snow Valley Peak, and Marlette Peak all offer challenging full-day excursions. These worthwhile peakbagging hikes can also yield stunning expansive views of Lake Tahoe. From October 16 until April 14, entrance fees to Spooner Lake are $7 per vehicle. From April 15 until October 15 entrance fees are $10 per vehicle. The Spooner Lake gates are open 24 hours per day. No overnight parking is permitted with the exception of overnight campers at one of the three dispersed backcountry campgrounds. From South Lake Tahoe, take US Highway 50 East for approximately 12 miles (from the Stateline area). As you approach Spooner Summit, turn left on Highway 28. Continue for 0.3 miles before turning right at the entrance to Spooner Lake.